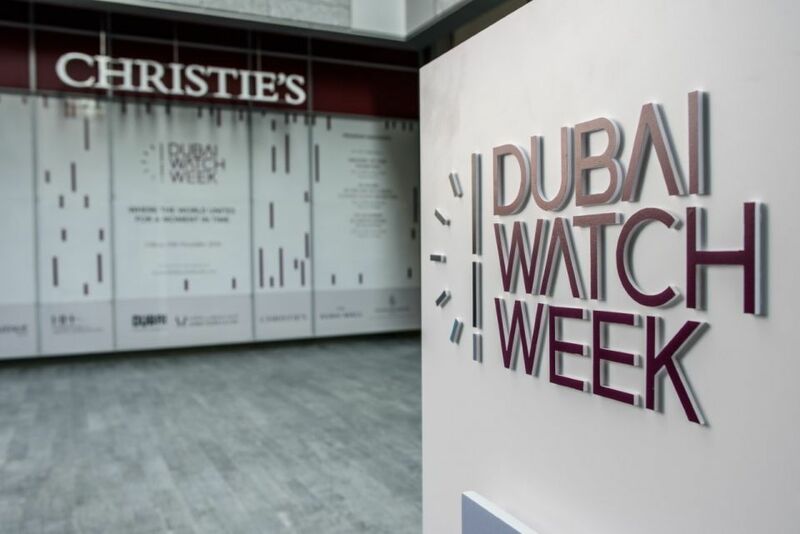 Beginning Tuesday, September 11 in London and running through September12, Dubai Watch Week and Christie’s auction house are co-hosting the first international chapter of the Horology Forum. The event marks the continuum, of sorts, of the Dubai Watch Week platform dedicated to preservation of the watchmaking culture, that was founded in 2015 by Ahmed Seddiqi & Sons, The two days of panel discussions witnesses top watch authorities speaking on panel discussions about a variety of topics. The forum is designed to enable discussions between leading watch curators, pioneers, authors, collectors, brands and industry professionals. More than 20 speakers will be included in the panels, including visionary owner of Bovet 1882, Pascal Raffy; British watchmaker and master of The Daniels Method, Roger W. Smith OBE; Peter Speake-Marin of The Naked Watchmaker and Stoic, and others. Additionally, a friend of mine who is not only an actor but also a watchmaker, Aldis Hodge, will be speaking on a panel this year. “London is an important horological market that has a rich heritage in the industry. This edition of the Horology Forum is expected to attract several prominent figures from the community and we look forward to exploring British timekeeping heritage tied in with Christie’s extensive expertise in the world of horology. It is always important to reach new audiences or even old skeptics and bridge the ever-growing gap between the puritans and innovators,” says Melika Yazdjerdi, Director of Dubai Watch Week and Senior Marketing & Communication Director, Seddiqi Holding. ATimelyPerspective will be covering a few of the panel discussions and bringing first-hand experiences back to share with you. Check back soon. Veteran watch journalist and author of 6 books on watches. Launched in 2011 by Roberta Naas, veteran watch journalist and author of 6 books on watches, ATimelyPerspective brings insightful, watch content including wrist watch reviews and watch news, as well as behind-the-scenes looks at watch factories, interviews with watch executives and celebrities involved with watches, as well as other unique articles found no where else in the watch world. Copyright © 2010 – 2018, Roberta Naas. AtimelyPerspective.com accepts written contributions only from qualified watch journalists, knowledgeable collectors and authorities in the field so that we never compromise on ethics, integrity or precision.